In this webinar our expert speakers look at the latest ways to reduce carbon emissions from radio access networks. They lay to rest the myth that reducing carbon emissions costs money and show how it can lead to exciting new business opportunities to boost your bottom line. Anyone interested in discovering the latest developments that can help operators to cut network costs and help tackle global warming, thereby increasing their brand image and improving profitability. Harry looks after Nokia Single RAN marketing . His passion for making radio access networks simpler and easier to operate is matched by his desire to promote the business benefits of environmentally-friendly solutions for a greener world. He holds a BSc in electrical engineering and has presented papers at many conferences. Pia is heading the environmental management at Nokia. She holds Licentiate of Technology degree in Chemical Engineering from Lappeenranta University of Technology in Finland and holds 15+ years of experience in sustainability (environmental and social responsibility) topics in the industry. 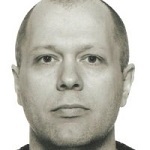 Topi Volkov is a research specialist at Nokia Bell Labs. In Emerging Technologies team he is involved with several technology areas including thermal management, energy efficiency, environmental and sustainability. 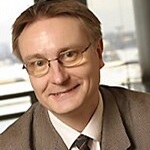 He is also working with energy storage solutions and providing testing services to Nokia.